Part four of the PRCA's 2016 Census suggests practitioners expect to spend more of their time delivering digital campaigns, notably in the growing tech and health sectors. 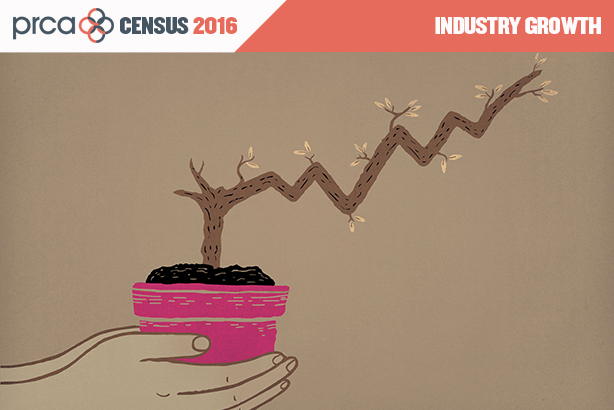 In the fourth of our five-part series on the Census, PRWeek looks at which sectors of the industry show the biggest signs of growth. According to the census, the two PR sectors that require investment and are most likely to grow over the next two years are technology and health. Forty-nine per cent of those surveyed said the technology sector would grow while 34 per cent said the largest growth area was health. Commenting on the findings, Ian Hood, managing director of Babel PR, says: "Internet technologies aren’t the only tech in town but the explosive growth in them gives us a very good indication of a fundamental change in the way we all ‘work, rest and play’. It’s for that reason that the demand for technology PR expertise continues to grow. Ironically, one of the biggest challenges for those of us working in tech PR is finding people who, although understanding the underlying technology, concepts and issues, can divorce themselves from the technology and communicate in the language of the target business or consumer. Most people, nerds aside, don’t really care about the technology; they care about what it delivers." Among agency chairmen or chief executives, 45 per cent chose technology and 38 per cent chose health as the biggest growth areas. Both these sectors were also deemed the most likely source of industry growth in the 2013 census. Scott McKenzie, joint managing director and head of change and employee engagement at Lansons, says the growth in the health sector will continue, along with the challenges it faces. He adds: "The need for healthcare organisations to adapt their business models, to transform and innovate, has never been more pressing. With those challenges comes the need for great advice around reputation management, stakeholder engagement and business transformation, and agencies need to recognise these trends and invest in the right talent to meet the changing demands." The findings chime with the sectors PR agencies work in most. According to those surveyed, technology has risen in importance by 12 percentage points, from 17 per cent to 29 per cent, since 2013. Other sectors that have seen greater emphasis since 2013 include consumer services, which has risen 10 percentage points to 24 per cent, health, which has risen from seven per cent to 16 per cent, and retail and wholesale, which has more than quadrupled in importance from four per cent to 18 per cent.